Even as a very young child, Simon King was passionate about the natural world. Being savaged by a rabid cheetah, charged at by rhinos and elephants and defecated upon by a long list of birds and other animals may sound like hell to some. But these, along with countless other experiences alongside all things furry, scaly, slimy and feathery have provided him with an enormously rich bank of tales to relive and retell. With his professional life starting aged ten, acting in a television drama called The Fox, (for which he looked after an orphaned fox for two years at home), through projects such as Planet Earth, Blue Planet, Springwatch, Autumnwatch and Big Cat Diary to name just a few, Simon King has traveled to every continent and lived in extreme conditions from remote desert to Arctic and Antarctic wilderness. 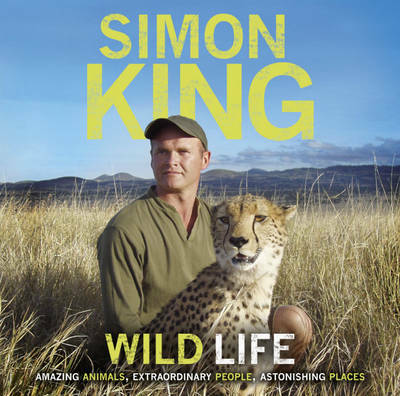 With characteristic honesty and charm, Simon King weaves his animal stories amongst encounters with extraordinary people, and astonishing places to give us a memoir that will delight readers.